Tom Ukleja gives some great tips on how to kick start your business in 2015. January is underway and the festive fog cloud is rapidly lifting, perhaps you are booking a gym induction or planning a diet to kick start the New Year. 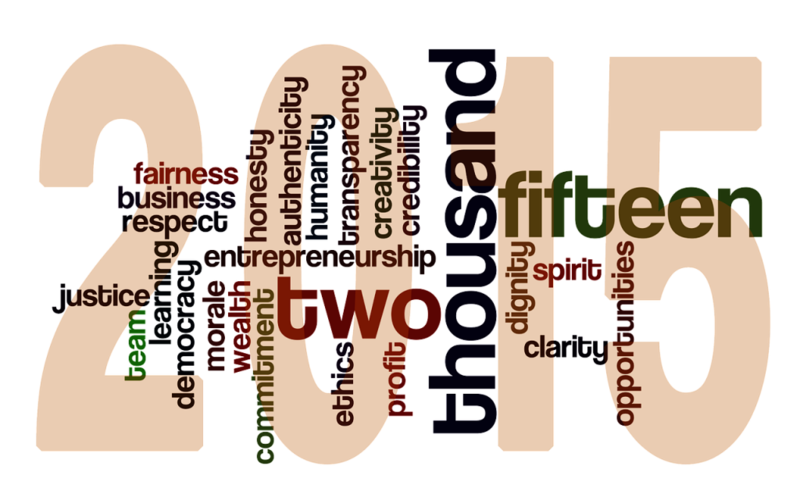 Instead of just focusing on your personal targets, why not apply the same principles to your business in 2015? Annual review aside for a moment, take 10 minutes to think about last year. Did your client base grow in 2014? If so where did those new clients come from? Have you thought how to improve the new client numbers for this year? Focus on the channels which perform best for you and make sure they are working effectively. Then consider which other areas need to be developed. Your digital presence can always be improved and refined to attract the right customers, or perhaps you need to re-connect with your existing clients to increase word of mouth referrals. No matter how rudimentary, setting out a rough plan will provide a good base to work from. Everyone is aware that a balanced diet is good for your health; in order to grow, your business needs to be fed the right balance of customers too. It goes without saying that all new clients should be valued, but are you getting enough interest in your high-ticket products and services? If not then consider taking advantage of Pay Per Click (PPC) campaigns to reach out and engage with new clients. Using Google to display targeted adverts on search terms relevant to your business is a powerful platform. Controlling the budget, times and locations where the adverts are shown can create a steady stream of potential clients contacting you for more information. Importantly this activity generates measureable data; showing you what is working and what isn’t, reducing costs and maximising your return on investment. Getting yourself in good shape is hard, it requires a lot of time and effort. Developing the digital presence of your business and staying ahead of the competition is no different. When was the last time you reviewed your website, ensuring it is search engine friendly? Refreshed your imagery with professional photography? Or thought about setting up a blog schedule? Creating a coherent website that is easy to use, engaging and regularly updated with fresh content is vital if you want to start climbing the search engine rankings. If these key areas aren’t already part of your plan for 2015 you need to start addressing them now. The great news is we can work with you to set-up and manage all of aspects of your digital marketing, bringing your business up to speed and increasing your new client numbers. Meaning you can focus on enjoying that spinach and kale juice or getting motivated for a 5k run.